The fourth generation Nord Piano 4 combines greatly expanded voice polyphony, a premium Triple Sensor keybed and Nord's acclaimed Virtual Ha.. 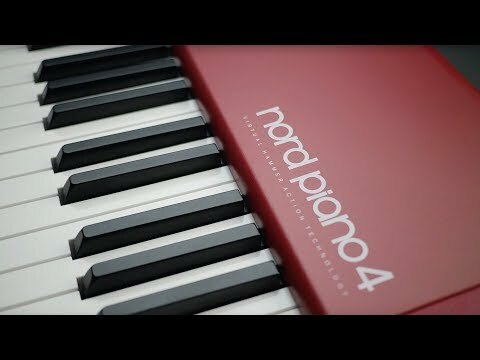 The fourth generation Nord Piano 4 combines greatly expanded voice polyphony, a premium Triple Sensor keybed and Nord's acclaimed Virtual Hammer Action Technology for the ultimate piano experience. 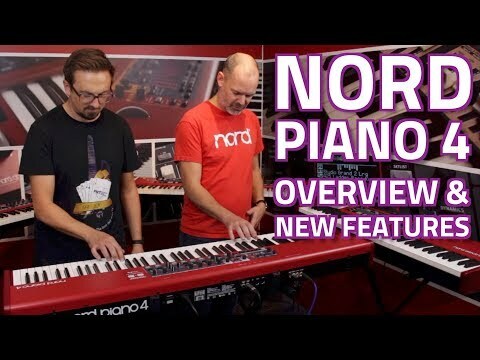 Following on from the success of the Piano 3, the Nord Piano 4 evolves by adding brilliant new performance features like Seamless Transitions, Dedicated Piano Filters and Split Point Crossfades. Furthermore, with an expanded 120 voice polyphony and a double-fold increase in Sample Synth memory, the Piano 4 is fully equipped for both stage and studio. Like a truly flagship Nord Keyboard, the Piano 4 is broken down into three seamless sections. As well as a dynamic Piano section, you've also got a Sample Synth and high quality stereo Effects, modelled after classic stomp boxes. This allows you to re-imagine every sound from the Nord Library to your own tastes. The end result is an elegant, live-focused keyboard with exceptional piano feel, courtesy of an 88-note Triple Sensor keybed (A-C) with grand weighted action. Seasoned professionals need look no further - Piano 4 has it all. Comes with Nord Triple Pedal, Piano Library v5 DVD-Rom, Power Cable and User Manual. Nord's exclusive Virtual Hammer Action Technology, first introduced with Nord Piano 3, simulates the hammer movements in a Grand Piano delivering outstanding authenticity and dynamic response. The premium Triple Sensor keybed allows key movements to be determined with stunning precision. The result is a keyboard action that handles dynamic playing with amazing control at any velocity level. 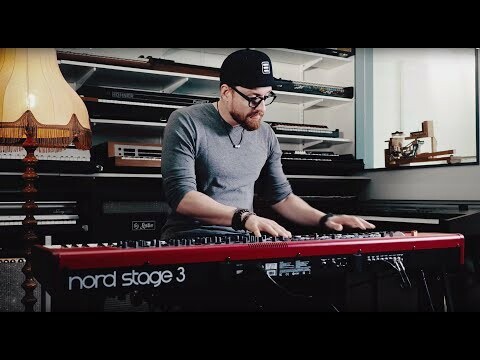 The Nord Piano 4 Effects includes Tremolo, Phaser, Chorus, Pan, Wah, RM, Flanger, Vibe, EQ, Delay and Reverb with a new Bright Mode.